Every mom I know inevitably ends up on The Mom Diet at some point in her motherhood career. You know, the diet that consists of eating your kids’ leftovers while standing at the kitchen sink. We’ve all been there, and there’s no shame in it. Just as going into public with spit-up and/or puke and/or poop on your clothing is a rite of passage for mothers, so too is The Mom Diet. This is your basic cheese and wine pairing. A crisp white wine like Pinot Grigio or Sauvignon Blanc will compliment the mild, tangy flavors of the chilled Mac ‘N Cheese. This pairing is best enjoyed with Mac ‘N Cheese straight out of the pan that is still sitting on your stove, and wine served in your toddler’s sippy cup. One of the first rules you’ll master when learning how to pair food with a beverage is that salt loves sweet! The salt in the hot dog will heighten the perception of sweetness in your beverage, so go for an ice wine or, if you’re feeling exotic, a margarita. The residual nutty flavor of the peanut butter and the sweet tang of the jelly pair beautifully with the zing of a fresh bubbly. Try Prosecco or, if you’re looking for something a bit more special, go for Champagne. If your child eats PB&J for breakfast like mine do, you can even mix your Champagne with OJ for the perfect morning Mimosa. What grows together goes together! Since pretzels basically grow in the beer gardens of Germany, a nice hoppy Hefeweizen will pair beautifully. Turn on some polka music and you’ll be transported to another world! Thanks to the smoky notes and fatty texture of whitefish (fish sticks), the dish can totally stand up against a light red, like an earthy Pinot Noir from Burgundy. Pinot also does an excellent job of masking underlying flavors of freezer burn or actual burning from your oven. The bright, concentrated flavors of fruit snacks are the perfect match for the bold flavors of a rich Zinfandel. Just don’t spill red wine on the couch when you’re digging around for more fruit snacks, because perma-stains. If you get to the point where you’re actually eating the bum-end of the formerly-most-glorious food group, then you need something stronger than your childrens’ resolve to cover every square inch of your home in Legos and/or Barbie shoes. Try bourbon on the rocks…or straight out of the bottle. Remember, no judgment here. 1. “Type-B” personalities run the roost. 2. You must, MUST, support your local hurling/rugby/football team with the undying love of a mother for her only child. 3. Tea and scones are synonymous with life itself. 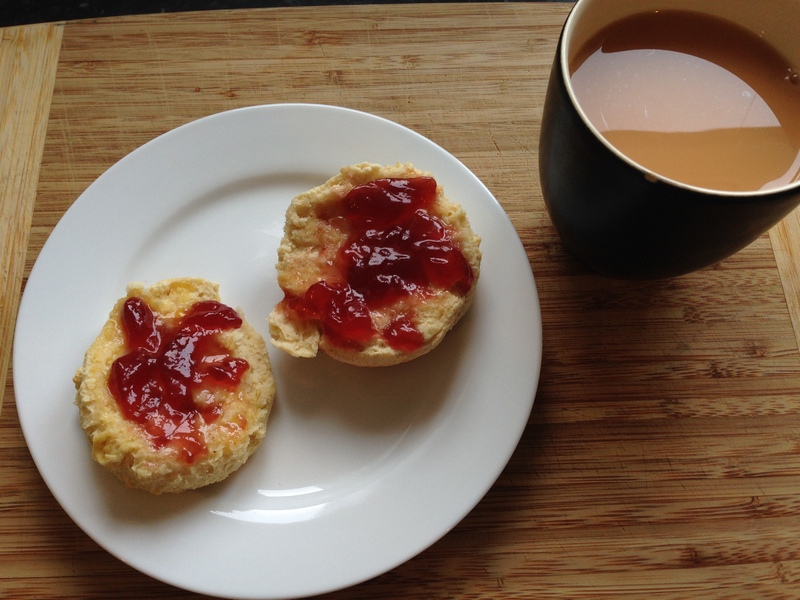 It is this final conclusion that has brought me to the point I am at now–that is, the point at which I have become obsessed with tea and scones (trust me, my waistline bears the proof). Of course, it didn’t take much convincing to get me to eat fresh-baked bread smothered in cream and jam. And I doubt it will for you, either. 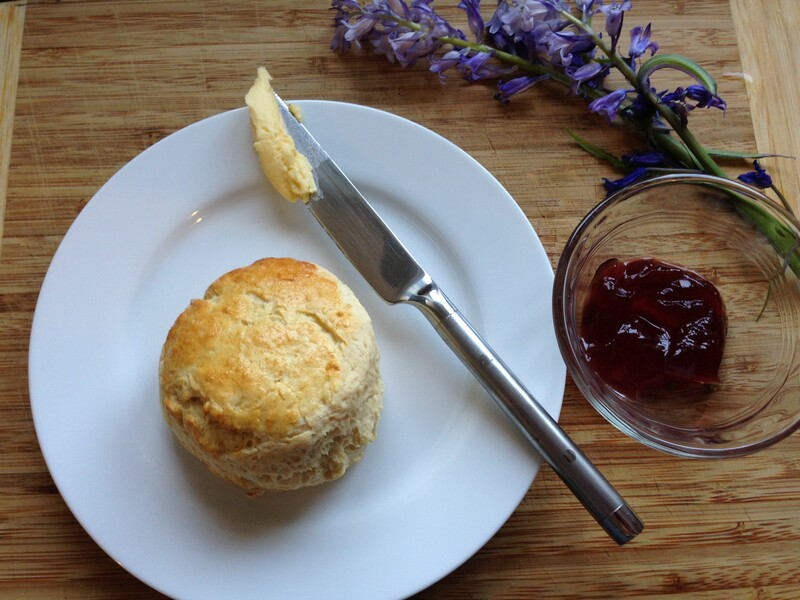 So the next time you want a homemade treat or a tasty tea or a light breakfast, just whip up a batch of Irish scones. I have to warn you, though–you just might get hooked! In a large bowl, whisk together the flour, baking powder and salt. Add the butter and use a pastry cutter or two forks to cut it into the flour mixture until it resembles fine breadcrumbs. Add the sugar (if using) and stir. Make a well in the center of the flour and slowly stir in enough milk to make a soft, pliable dough. Add the raisins (if using) and mix them into the dough. Turn the dough onto a well-floured board and knead very lightly until just smooth, then roll out to about 3/4″ (2 cm) thick. Cut rounds with a 3″ cutter or an overturned glass, or cut into triangles using a sharp knife. Place scones on the prepared baking tray and brush with the beaten egg and milk mixture. Bake near the top of the hot oven for 15 minutes, until golden brown. Serve with butter and lashings of jam and cream. Drink a cup of tea. Feel very Irish. 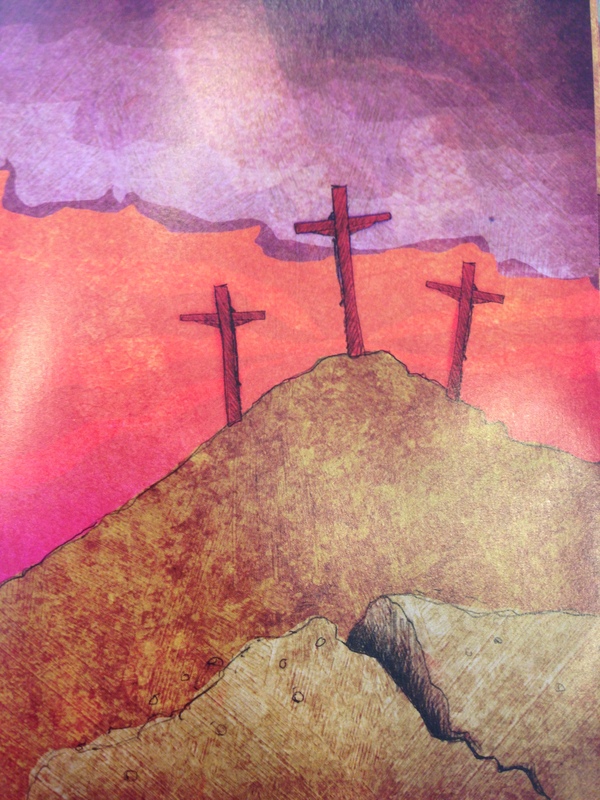 Easter is just a few weeks away, which means it’s time to bring back all of my favorite lent activities. Easter is such a special time to share with children, and I’m always looking for fun and creative ways to share the truth of this season with my boys. This week we will begin using our resurrection eggs and we’ll also be doing one of my all-time favorite cooking projects: resurrection rolls. 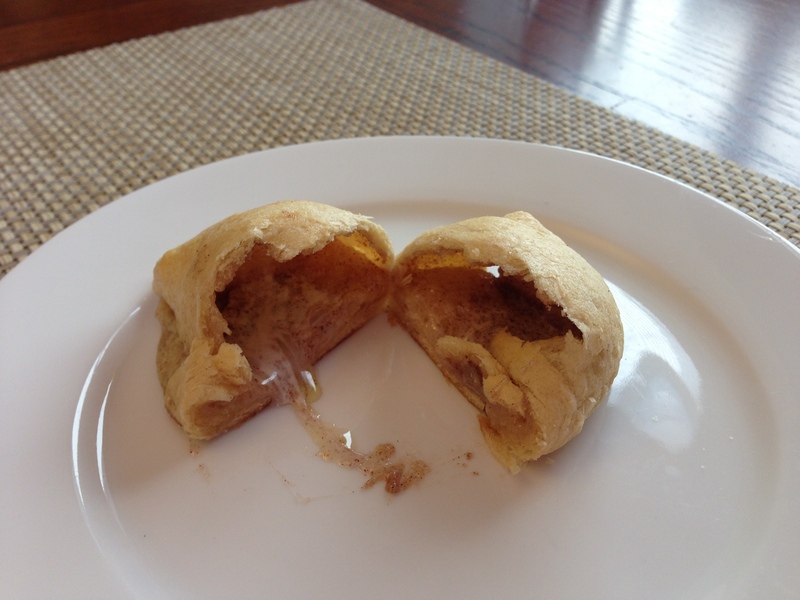 Resurrection rolls are a simple (and, might I add, delicious) way to share the gospel with children, a truly memorable experience. I thought I’d repost the recipe and story here for you if you’d like to join in the fun–enjoy! 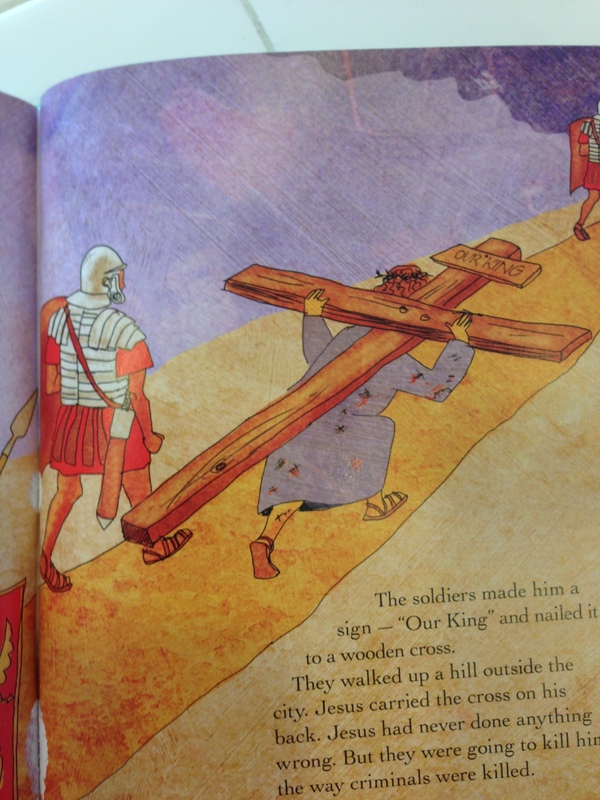 I love finding creative ways to teach important truths to kids. And I love it even more if I can find a way to tie food into the “lesson”. 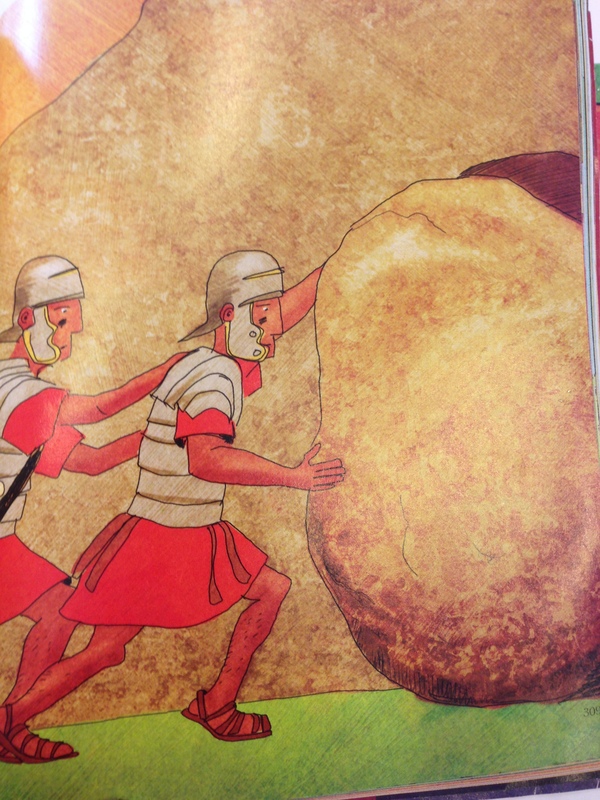 You can imagine my excitement, then, when I first discovered Resurrection Rolls. Basically, Resurrection Rolls are a treat that you make where each step of the cooking process represents part of the Easter story. 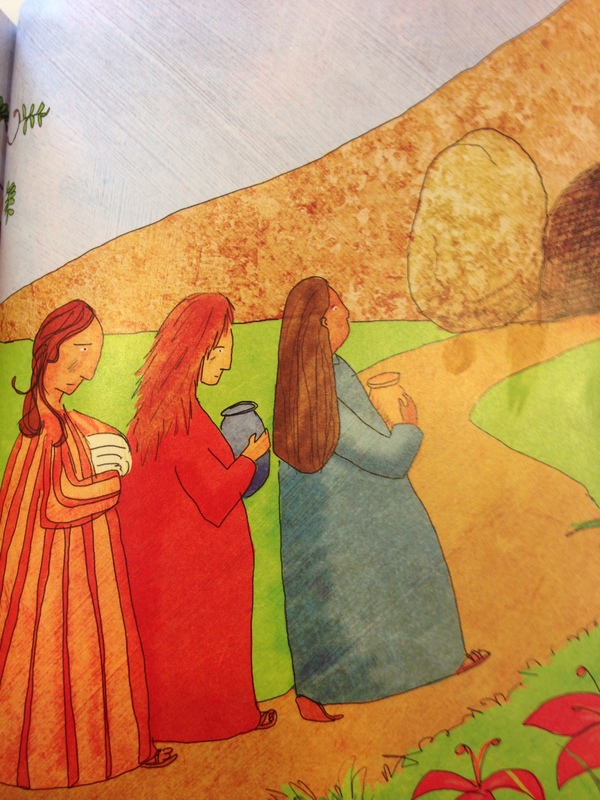 It’s a wonderful way to tell kids the Easter story AND the rolls themselves are sublime. I’ve had people make the rolls for me before, but this was my first time doing the whole project with David. He was able to help out a bit and was pretty engaged the whole time (even if he did keep trying to swipe marshmallows from my stash). I’ll definitely be doing this again next year–a new tradition has been born! Start by preheating your oven to 350 degrees. 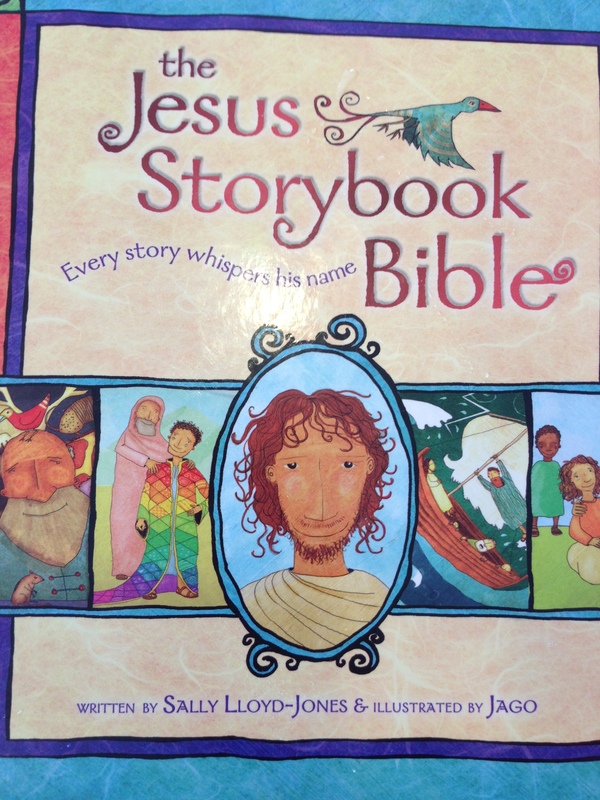 While the oven is preheating, get out your Bible and open up to John 19 or find the Easter story in a children’s Bible (my favorite is the Jesus Storybook Bible). Below you’ll find the pictures and the “script” for how I told the story to David (he’s only 2 years old, so I kept it simple for him). 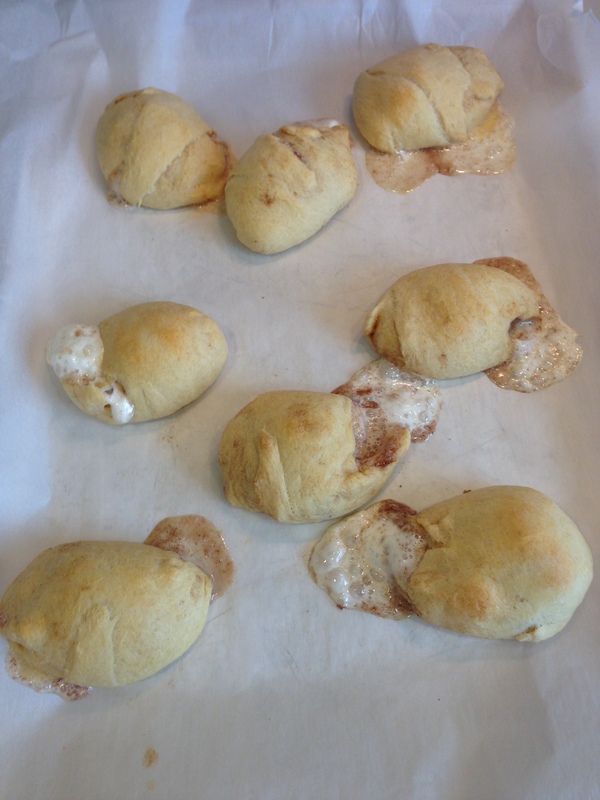 Do: Roll the cinnamon-sugar marshmallow up in a crescent roll (it won’t look like a crescent roll). Press all of the seams firmly. Repeat for each of the crescent rolls. Place the rolls on a parchment paper-lined baking sheet. Do: Put the rolls in the oven and set your timer for 10-12 minutes. Let the rolls bake until they are golden-brown. 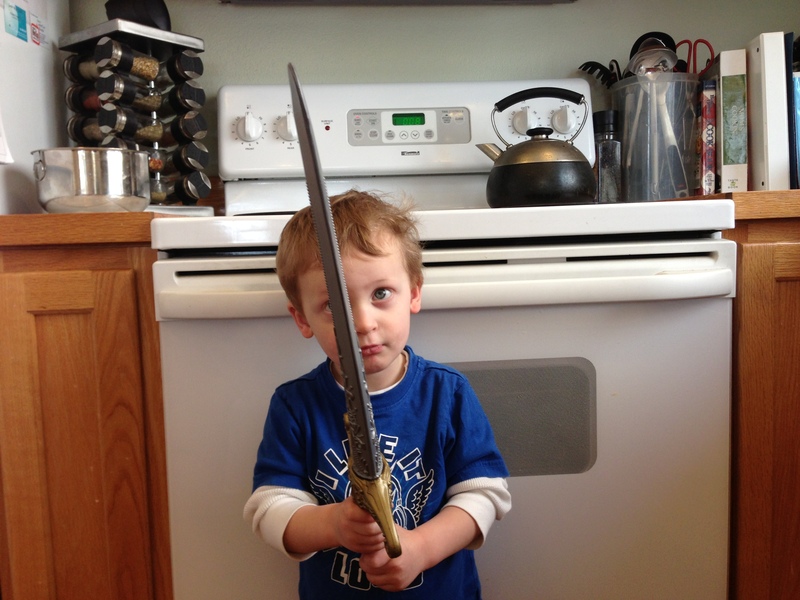 I even let David stand guard in front of our oven “tomb” with his toy sword. Do: Cut open one of the rolls. The marshmallow has melted, so the “tomb” is now empty. Do: Eat your yummy rolls! When we went back to the states for Christmas I noticed several changes that had already taken place since we’d move: new housing developments had sprung up all over the place, all of our friends had new babies, and the Seahawks were on their way to the Superbowl (!). Lots of big changes. No change struck me as much, however, as the introduction of this new product into the American marketplace: cookie butter. What the what?! Cookie BUTTER? I mean, come ON. I just had to try it. Thankfully, my ever-observant sister-in-law read the desires of my heart and I was the happy recipient of my own (rather large) jar of cookie butter on Christmas morning. The stuff is good. Really good. It tastes a bit like creamy shortbread or graham cracker pie crust. The only problem is, what am I supposed to do with nearly two pounds of cookie butter? 1. Preheat oven to 375 degrees F (190 degrees C for all of my Irish friends who may be reading this!). 2. Line a muffin tin with muffin papers. 3. In a medium bowl, whisk together the flour, baking powder, salt, and cinnamon. 4. 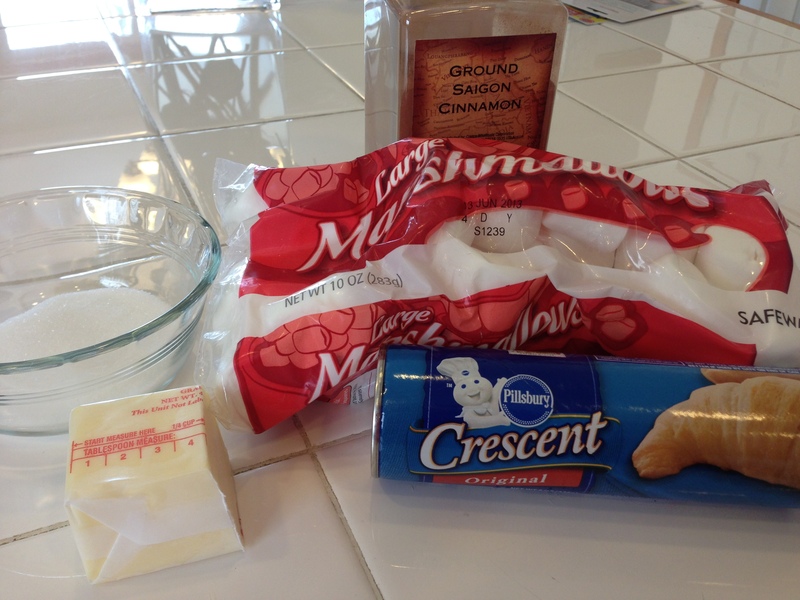 In a large bowl using a hand mixer, beat butter and sugar together until light and fluffy. Add the egg and vanilla and beat until well combined. Add the cream cheese, milk, and 2 Tablespoons of cookie butter and beat until combined. 5. Add the flour mixture to the wet ingredients and mix until just combined. 6. Spoon muffin batter into muffin liners until about 1/2 full. Spoon about 1/2 Tablespoon of cookie butter onto each muffin, then top with another small spoonful of muffin batter. 7. Top each muffin with a sprinkling of cinnamon sugar. 8. Bake muffins for 10-12 minutes, until the muffins start to turn golden brown. 10. Let the muffins cool completely before you eat them (remember, there’s a molten core of cookie butter in the middle). Enjoy! The final verdict? Cinnamon cookie butter muffins are every bit as delectable as you imagine they would be. So go bake yourself a batch. Now! My mom has an incredible garden that we fondly refer to as “Nana’s Secret Garden”. I don’t have a garden myself (nor should I with my two “brown thumbs”), but my boys love playing in her garden and eating fruit, berries and veggies (literally) off the vine. This time of year Nana’s Secret Garden is bursting with zucchini, some the size of my small children. It was from this prolific garden that my mom was inspired to create this recipe for zucchini soup. This soup is one of my favorite end-of-summer treats–it is creamy with a fresh, vibrant taste. In fact, this soup is so good that it was published in Sunset Magazine–which, basically, makes this soup famous. At least to me. And it really does deserve to be famous. Well, I was at the grocery store yesterday trying to figure out what I’m going to feed my family this week (somehow it’s still a mystery to me. Every. Single. Week. You’d think that after years of cooking every single day I’d know what to make for dinner but, alas, I still wander the grocery store looking for inspiration, week after week). This week, my store had courgettes on sale–only I didn’t know what courgettes were. I have learned that there are many different names for things here in Ireland. As it turns out, courgettes are none other than the humble zucchini. And you know what that means? I get my zucchini soup, even though I’m thousands of miles away from Nana’s Secret Garden. So here is my mom’s award winning recipe for zucchini soup. I hope you enjoy it as much as I do! In a large stock pot, sautee coarsely chopped vegetables and 1 cup of stock until the vegetables are soft. Working in small batches, puree the mixture in a blender, adding more stock to liquefy as necessary. Return vegetable puree to pot and add curry powder, salt and pepper. Simmer the mixture and add coconut milk and evaporated milk. Add more stock if necessary or, to thicken, add instant mashed potatoes. *Since the zucchini come in many different sizes, you’ll probably need to adjust the amounts of stock and seasoning you use. Sometimes I also like to add some fresh herbs like basil at the very end of the cooking. This soup also freezes well for a taste of summer in later months.